Teeth In One Day implants are a breakthrough that allows for the minimum number of implants for the maximum number of teeth. Because of teeth in one day dental implant benefits, they’re probably the most favored dental solution for edentulous. Teeth in one day dental implants look, feel, and act in much the same way as real teeth. They are the only solution that provides proper support for your jaw bone. Teeth in one day dental implants provide you with replacement teeth that are practical, you can use them as you would your natural teeth. They’re a reliable long term solution, that usually only require minor adjustments, and can last a lifetime. Our dental implants are the most aesthetically pleasing dental procedure available for missing teeth. 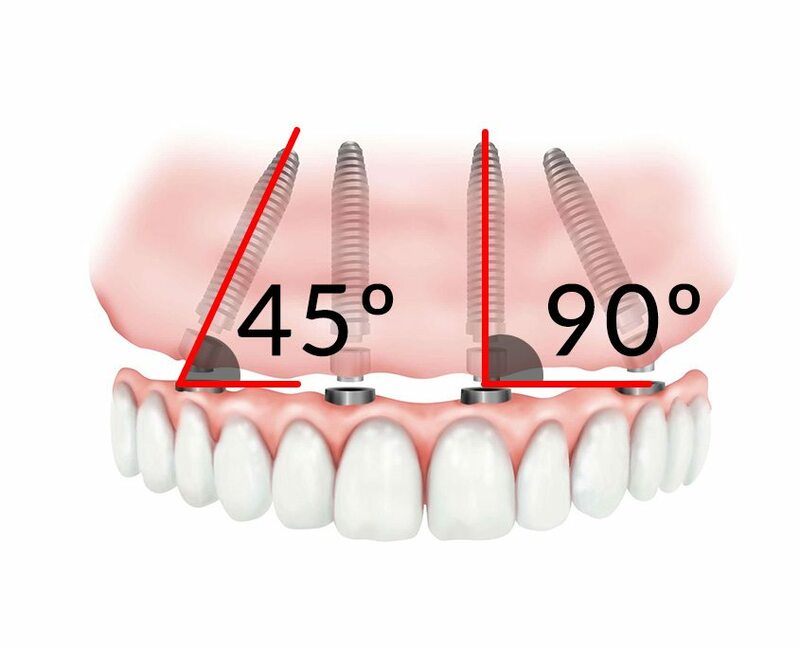 Two implants are attached at the front of the jaw at the usual angle of 90 degrees, and two are attached at the back at a 45 degree angle. View before and after photos for our previous patients and their amazing dental transformations done with the work at Friedman Dental Group. The teeth in one day procedure can restore the quality of life for those who are suffering from edentulous (loss of teeth), near or partial edentulous.